Swati is a seasoned attorney with over a decade of legal experience. She counsels individuals, businesses and non-profit organizations on how to navigate our complex immigration system. She provides thoughtful, thorough and prepared representation to all her clients. She approaches all her cases with dedication and an eye toward detail. 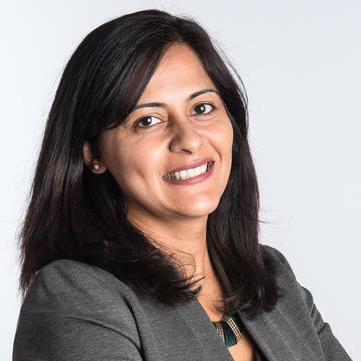 Prior to founding Rawani Law & Policy, Swati was the Legal Services Program Manager at TASSC International, an organization that serves survivors of torture from all over the world. Swati oversaw all aspects of the legal program, including supervision of 90 asylum cases. Prior to TASSC, Swati was an… read more associate attorney at Morgan Lewis for over 9 years. Swati Rawani does not have any reviews yet. Represent individuals and global business in full range of immigration cases. For individuals, we assist with humanitarian asylum cases and trafficking cases, immigrant and non-immigrant visas, and residency (greencard) and citizenship applications. We act as outside immigration counsel for businesses and assist global businesses with global mobility issues and compliance with immigration law. Managed legal program at TASSC. Supervised team of 3 attorneys and extensive network of volunteers and pro bono attorneys. Supervised 90 asylum cases before U.S. Citizenship and Immigration Services (USCIS) and Executive Office of Immigration Review (EOIR). Managed all federal and local grants for the legal program. Represented clients globally in antitrust litigation, government investigations and mergers. Managed class litigation cases from pre-suit investigations to settlement. Experience leading antitrust merger reviews through due diligence, contract negotiations and second requests.